This two-day training on Sat 2nd and Sun 3rd December is being offered at Halton Mill, Lancaster for facilitators to support community groups who wish to begin their own Carbon Conversations groups. 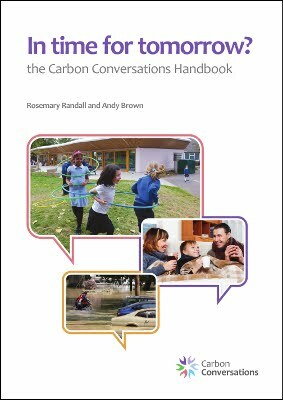 Carbon Conversation groups are run by a pair of facilitators, so it is best if you have someone else in your area who has already trained or who can come to this training. It is best if you have already participated in a CC group before doing this training. If you have not had an opportunity to do so we may also hold a pre-training day to ensure people are familiar with how a Carbon Conversations group works. To book your place, or if you have any questions, please contact Jan Maskell on 07715712992 or jnmskll@gmail.com. 2-3 Dec. 2017, 9:00 – 17.00, lunch and materials provided; £200 per person.